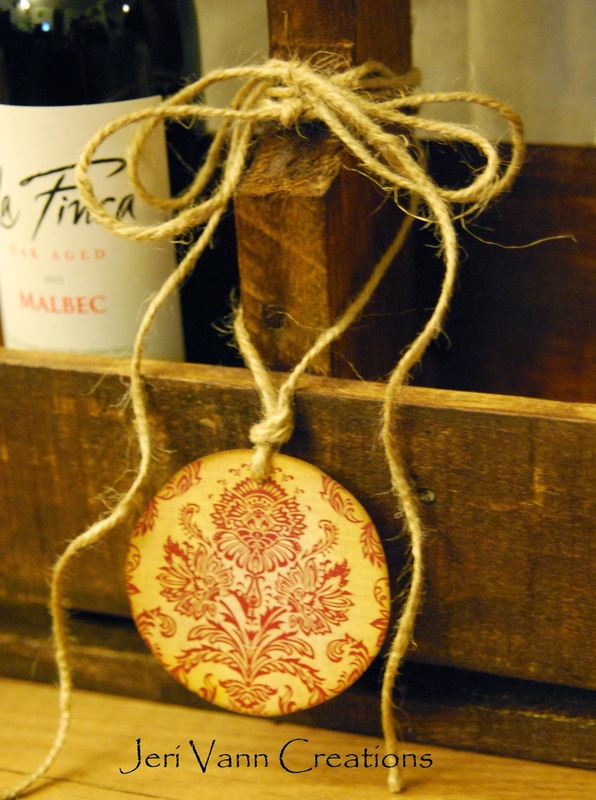 So picture this: You are running late for a birthday party, you grab the gift and notice you forgot to attach a gift tag! The only paper you have on your craft table is the new Joyous I Want It All Bundle by My Mind's Eye ... and it's only August! What do you do? Well that's what is so great about the Bundles from FotoBella! Each bundle is so versatile and there are papers or embellishments that can be used individually for other themes and events. 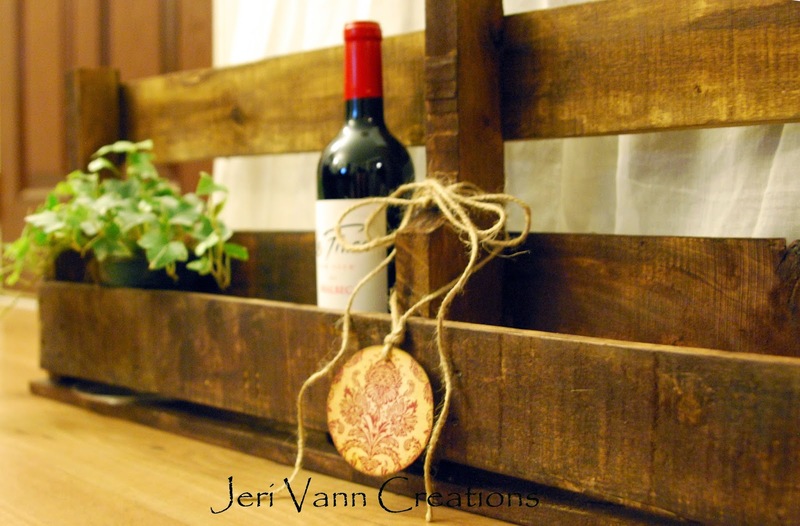 I needed a gift tag today for this Pallet Wine Rack I made, so I grabbed this beautiful Flourish Page, cut a circle, inked the edges with the Mustard Seed Distress Mini, punched a hole at the top and tied it with some Jute. It matches the gift perfectly!